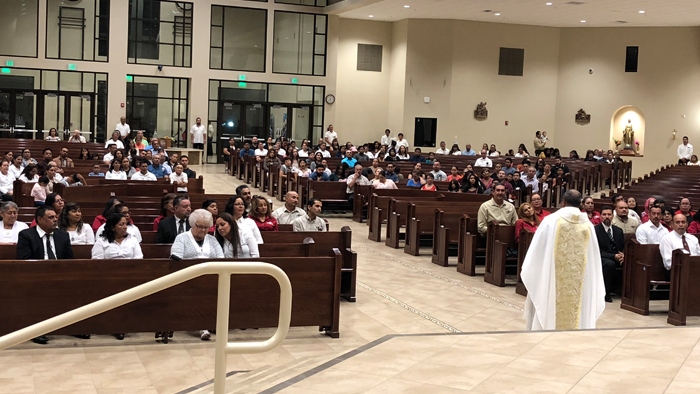 The Lay Associates of the SVD from Queen of Angeles, Riverside renewed their commitment for one year on September 22nd Saturday during the evening Mass. A total of fifteen members made their commitment, three of them for the first time and twelve making the renewal. Fr. Paul Kahan, the provincial of USS presided over the Mass and Soney Sebastian provincial of USW received the commitment of promise. Paul in his inspiring and uplifting homily reminded them the role of service in the community and that they have a higher responsibility to serve as committed members of the LAICOS. Soney Sebastian congratulated and felicitated them. He also thanked them for working together with the pastor and the associates in carrying out the mission and charism of the Society in the parish. He thanked Frs. Beni Leu, John Duy and Predheep Sathiyanathan for being present to the LAICOS members in their journey as Lay Associates. Emilio Reyes also concelebrated to mark the important occasion. 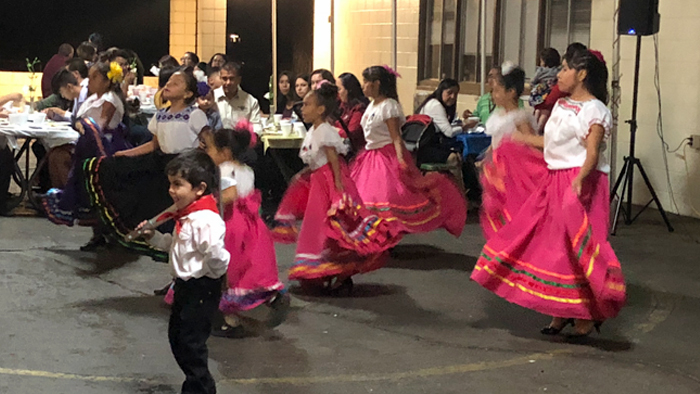 The Lay Associates had their annual retreat on September 28th to 30th at Running Springs guided by Jose Fernando, SVD the provincial of Argentina East.